Producer Natalie Qasabian (three Duplass Brothers movies); writer-director Joe Sill (STRAY, Apple, Nike spots); CAA agent Sue Carls; JES; 30 West finance and Investment exec Adam Paulsen; producer Eric B. Fleischman (18 features in four years out of SCA). On October 18, 2017 the question on every film student’s mind was asked in SCA 108, “What does someone do after they graduate?” There was a different feel in the room at Jason E. Squire’s DIY and the Micro Budget Feature Model because, on this particular evening, the panel was made entirely of people who had made those first steps into the professional world through small films and they had a clear answer. 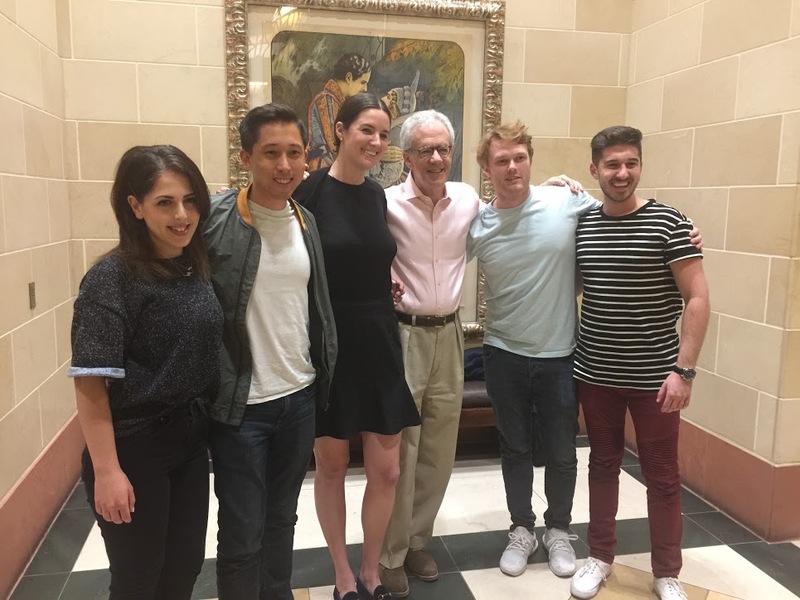 The panel included alum/producer Natalie Qasabian (three Duplass Brothers movies); writer-director Joe Sill (STRAY, Apple, Nike spots); CAA agent Sue Carls; 30 West finance and Investment exec Adam Paulsen; and alum and producer Eric B. Fleischman (18 features in four years out of SCA). They covered topics ranging from how they got involved in the micro-budget world to common mistakes early micro-budget filmmakers make. There was a family vibe in the air with many of the people having worked together. Joe Sill’s film STRAY was produced by Fleischman, Adam Paulsen was formerly Fleischman’s agent, Fleischman and Quisabian worked together on two films. Sill said that after meeting with Fleischman, he was given the opportunity to make his own film. He pitched five ideas and Fleischman greenlit his idea almost immediately. Breaking into the film industry is a perennial question that’s been on film students’ minds since Douglas Fairbanks founded the USC School of Cinematic Arts. With panels like the micro-budget filmmaking panel available to students, the mystery is one step closer to being explained. Squire teaches the Case Study class at SCA (CTPR 386) which focuses on micro-budget filmmaking in the Spring semester.